Everyone says it, you need to be active with Google AdWords, Facebook Ads, Instagram, SEO, PPC and more. Yikes! What does all that even mean? In this podcast episode, we're chatting with Tom Bukevicius of SCUBE Marketing on how a print shop can get started with paid marketing. Bruce: Hello, everybody. 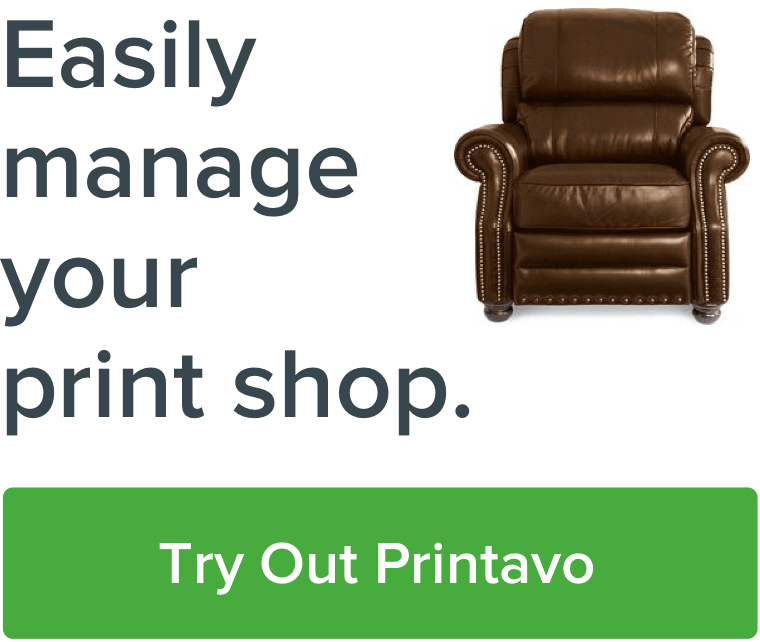 This is Bruce from Printavo, simple shop management software. Today, we've got a very special guest joining us, Tom Bukevicius. He is a principal at SCUBE Marketing. It's a company actually here in Chicago and they actually help a lot of small, medium, and large businesses with their online marketing. And, you know, Tom writes a lot of incredible articles all over the web about getting your Facebook ads setup and tailored, tricks and tips, secrets, all of these things that you don't know about of how to use, you know, AdWords, and Facebook ads, Instagram, all the rest and ways to really hack your sales growth. And so I wanted to bring him on today to talk a lot about his background and experience and then also things that you guys, the print shop owners, can do to help grow your inbound leads and your sales using online marketing. So, Tom, thanks for joining us. We really appreciate it. Tom: Bruce, thanks for having me. Bruce: So just give us a quick synopsis of your background. Tom: So I guess from when I was a kid, I was really interested in web so I built my first website when I was in the sixth grade. So I learned HTML 2 back when it was only, you know, Version 2. And since then I was really interested in the web. But as far as my further career, I spent actually seven years in commercial insurance and I've worked quite a bit in finance and strategy areas. But then what happened was I started an entertainment website. Essentially, I picked up what I was...I picked up web projects, again, from when I was a kid and essentially grew that website to 15,000 readers per month and I did that through SEO. So what happened was that people started asking me about how did I do that. And eventually, after I started helping, you know, different friends then, you know, the network grew. It led to starting an agency. So we started as an SEO agency and then, later on, started the PPC services and then eventually added other things to the offering. So that's essentially the quick background. Now, we just focus on pay-per-click and essentially this is...or all forms of paid media which is paid search, paid social, and display, and conversion optimization, which is making sure that the traffic that we generate from all of these big media channels turns into leads and revenue. Bruce: Go it. Now, you know, I feel like SEO is one of those things where so many people can say they do it but there's really, I feel like, a few core principles that people can do with their websites just to make it SEO-friendly at least. You know, what are some just basic tips that people can do to make sure that they're optimized for their target audience? Tom: I would say there are a couple of different pillars that you have to pay attention to and this hasn't changed probably since '09 when I started this. The first side is the on-page optimization, so making sure that you're content and your pages are relevant to the specific audiences and the way we define audience is essentially a list of search terms or keywords that you would be targeting. So for example, you can have one page about one particular service. So your goal is to make sure that your content is specifically geared for those particular keywords and their variations, and Google is smart these days so you don't have to, you know, just like have verbatim variations of the words. Google can pick up the context and synonyms and just even like the context of your copy which could easily tell what the page is about. So number one, so the first side is making sure that the content is optimized essentially for a very specific audience which is one page per audience or one page per keyword theme. Okay? So that's one side. Bruce: A lot of WordPress. Tom: So if it's WordPress, there are a ton of plug-ins but I would say like even if you don't use any plug-ins make sure that your title tag is optimized for that keyword and it's written in a way that it looks like a head, almost like a headline for an app. Bruce: So the title tag, right, is the one that shows up in the browser tab? Tom: Exactly. And that's what appears in...most of the time, that's what appears in the search engine which is, you know, the big blue link in the search results. So making sure that that aspect is optimized and then making sure that the content piece has everything related to that particular topic. Bruce: Got it. Okay. So really, setting up, you're saying one page. So for example, if they're doing live printing which in our space is like, you know, they're setting up some presses and their printing custom right for people on the spot usually at an event of some sort. You know, setting up one page, setting that title tag to be live printing something, you know, around that topic and then really filling up the page with a lot of keywords around what they're trying to target there. And how long does something like this take for Google or should you submit it to go quicker to be able to, you know, gauge performance? Tom: It varies, but Google is pretty quick to index the account. But I would say it can take, sometimes it can take hours, sometimes it can take weeks. So it really depends on how well your site is structured. That's one aspect. If you have access to the...the essential Google's interface, there's web master tools, essentially, where you allocate your web master tool set suite. Now, it's called, hold on, let me tell you what, it was web master for a long time now it's search consult. So if you have access to that you can actually manage [audio skips 00:06:53] and Google will index it way quicker. Bruce: Got you. Okay. So looking at Google web master tools in search console, be able to submit those pages in and then what, measure that performance? Tom: Yes, so you could actually measure the performance. So you can see if the page has been index and then you'll also notice a couple of other things which is the number of impressions that you got against different search terms that you appeared against and then, of course, there will be [audio skips 00:07:28] which is the clicks, your click-through rate and average position. Bruce: Now, with this, in any sort of marketing, spend or time-spent what's the best way to figure out attributions? So how to say, "Okay, we got this many sales from this channel," is there a way of doing that? You know, for these guys someone might be calling in from a Google search, someone could be emailing, do you just ask the customer and try to keep tally that way? What do you suggest? Tom: Well, I never like to ask or never like to rely on customers telling us where they found us, because most of their answer will be, "I found you on the internet." That's how most of the customers are. So the reality is that you have to pretty much identify all of the access points to you and your sales team, meaning if you have a website and you have various web forms, make sure that those forms are connected with your Google Analytics, that's one aspect and making sure that you actually track and set up goals for that, so if anything happens, if someone submits a form, you want to make sure that the form can register and attribute traffic to the right channel or actually leads to the right channel. That's one aspect. Tom: Yes. There's another company up in Chicago, it used to be called IfByPhone now it's DialogTech, but they're more geared towards the enterprise-level clients. So they do a lot of automation. You can pretty much like if you think about a call center, they can pretty much like automate your whole call center, you know, they have an IVR which is that you can, you know, tell the operator, let's say if you're trying to reach someone and pretty much a robot will direct the call, you know, directly to that department. So it's a smart technology but if we're talking about small to medium-size businesses, and if you're looking for kind of like a quick low tech solution, I would say CallRail would be very sufficient. Bruce: CallRail, awesome. Now that's good. So a combination of that, Google Analytics you're saying for tracking of people submitting contact forms based on different search terms and things. Where...this kind of is related but reviews, you know, as social proof is really important and social proof for those who don't know is a way for customers to see immediately, "Okay, hey, I'm not the first person here. There's other people or news articles or things written about this company to make them seem, you know, very legit and big. And so reviews, how do people collect more reviews from their customer and/or maybe, you know, negative reviews happen, too, so drowning out those? Tom: There are a couple of different ways. One is that you can manually ask for your clients to submit reviews. Usually it's tougher because it takes time and not everyone is willing to do that. So even like the most satisfied clients will say, "Oh, I'll do that," and then they forget about it. So usually it requires a couple of different follow-ups. Now, since the reviews became much more [audio skips 00:11:57] these days as you, Bruce, have mentioned, there are different absent services that you can subscribe to and what these tools will do is essentially they will contact your customers on your behalf. So those tools vary in terms of pricing. Since we do commerce quite a bit, so there's a company called, for example, you can use Trustpilot, you can use Fifo. Fifo is company based out of U.S. No, I think it's based out of U.K. Trustpilot is U.S.-based. But essentially what you do is you submit your customer database to where the most recent orders and based on the order date, and you can customize the templates and everything, they'll help you pretty much like they will do the outreach and then they will start collecting reviews. And that's kind of how it works. Bruce: How much are those services? Are those affordable for a small, medium-sized business? Tom: So it depends on what you call affordable. So there are services that will cost you like 150 bucks a month. And there are service...so depending on, it really depends on the volume of your transactions. But there are services like for-hire services that will cost you like 500 bucks a month. So it really depends on your size and it really depends on how much [tape skips 00:13:24] a month, because essentially the level of outreach varies and those, usually services will vary with that. Bruce: Yeah. Okay. But that's good, I think 150 bucks is definitely affordable even for a small business. You know, the amount of time especially that I...if I'm looking to book a reservation for dinner and I see reviews of a restaurant that's maybe three, three and a half stars, it's just, I don't even look more into it. And, you know, unfortunately, even if that is based off only a couple of reviews, you know, we don't even look right into those. We skip right over. And so I just wanted to emphasize the importance of that for these shop owners as to make sure to start funneling those and now if negative reviews, of course, they happen, how would you recommend handling it? Tom: Well, I think that ideally, so I think that there are a couple of different, actually a few different steps I would use. So, first of all, you have to be proactive and make sure that you do all...you ask...you do great work, right? And you're also proactive of getting reviews of all your customers because it's better to be proactive than, you know, as opposed to be, [tape skips 00:14:43] you know? But if they do happen, I would say this, if there's a way to even prevent...and actually, some of those apps allow you to gauge the level of your customer satisfaction. So like it's not one of those that I mentioned, I forget the name of the app, and I can find out, but essentially the way it worked was the app sends the customer a text message and it asks a question, "Are you satisfied with the services?" And then the question says "Yes," great, then it goes to the review page. If the answer is no then it goes to another form which goes directly to the CEO of the company so that pretty much like the complaint goes there and then the company is able to resolve that. So that's one way to kind of like prevent that. But if you get a negative review, I think the best ways is to contact, pretty much reply back to that review and explain, you know, try to explain the situation and then be available as a business to resolve that and offer to resolve the issue with the customer. Because sometimes what happens is let's say if you're growing fast and, you know, you're not handling your, you know, operations well, stuff happens. And if for some reasons customers were not able to reach out to you and get their issues solved or maybe you're too slow to respond. Customers are impatient and then they're gonna leave a bad review. So make sure that, you know, you offer them a good way to, pretty much a quick way to, you know, to resolve the issue, because at the end you want to make sure that...they trusted you in the first place and you want to make sure that they're satisfied and you actually correct your issue and admit that, you know, "Hey, maybe we make a mistake. Let's find a way to make it right for you." Bruce: That made sense. So acknowledge it, put it on there so it can publicly be seen. I've heard of that rule that reviews are taken better or people take them into account better if there are just a few negative reviews, so you're overall rating is maybe four out of five, four and a half out of five instead of straight five out of five, which may look potentially suspicious, is that true? Tom: There are different studies about that, but I think that...well, I would say yes and no, but I think it really depends on the study. That's one thing. But I think that with most businesses that are not super high volume, I would say like just getting good reviews in the first place, I would say like you shouldn't worry too much about that. Let's just make sure that we'll see even if you get like ten 5 out 5 reviews it's gonna be way better than you know having like two, you know, with the average 3.5, right? So I would say like I think it really depends on the stage of your business, but I would say make sure so you get most of your reviews and get your, you know, your reviews are good. Tom: And you can actually hear directly from the clients what they have to say. Bruce: What are some other...so on the PPC side, that stands for paid per click marketing? Bruce: Which includes a host of different channels. What are some recommendations that you have for a small, medium-size business to really start to dig into and be able to responsibly spend on and see a return on some of these different channels? Tom: So I would say, I'll share a few different steps on how to kind of get started and they're a bit more strategic and then I will get more into kind of like the tactical aspects. So with PPC, so you kind of understand the depth. So you have three major channels that you can look into. So the first one would be paid search, right? So paid search is essentially paid traffic coming from Google, Bing, or let's say Yahoo Gemini. Those are the major search engines and essentially the traffic is driven by searches. So people are searching for things, you stick your ad in front of them, on the top of the page based on the search terms and then, you know, they click on the ad and then, you know, they go to your page and they're gonna lead or they don't. Right? Another side is a paid social, so that's Facebook ads, Instagram, you know, it could be Twitter or LinkedIn, so essentially, targeting people, targeting prospects based on their demographics, interest, psychographics, all of that. But essentially the difference between the search and social is you're not targeting people with a specific intent but you're targeting people with a certain likelihood of being interested in your business. And then the third aspect is display, so, you know, simple, like banner ads that would be, you know, I'd say a banner on New York Times or a banner ad on like a magazine. So essentially, the concept is very similar to paid social because with display you can have different targeting methods as well. So it's more kind of like placements or contextual advertising, meaning that with placements you can identify where does my target audience hangout at, like what do they read, for example. So that would be one aspect. The other aspect could be, so Google has a certain like other targeting methods so they could have, like let's say, an end market audiences. So based on users behavior on Google's properties they can identify let's say, apparently, this person is interested in buying a vehicle within the next let's say 90 days because they have, you know, seen a lot of car review sites and maybe they've visited AutoTrader and so on. So you can actually target by that. So I would say, paid social and display, they're somewhat similar because you're targeting a one consistent audience that is likely to engage with your offer, versus paid search is intent-based advertising where people identify what they specifically need and you're trying to meet the demand with your ads and with your offers. Bruce: Okay, got it. So, you're saying the first step, nailing the target audience, who are you trying to look for and then kind of brainstorm where they might be, what types of websites might they be on, what are they looking for, where do they live, how old they are, you know, where do they even work, right, because you could target people based on that. Okay, so you have your audience, you know where they're at, let's say, you know, is this a shop that's looking for larger Fortune 500 types of contract clients for an example,. What would be the next step to getting into the PPC side? Because you mentioned three different things, paid search, social display, there's a lot going on. There's so many different channels to pick from. You know, what's the next step? Tom: So the next step is to digging into different channels based on your kind of like initial strategy. I like to answer four questions like before, like four big questions before I even like go into any specific channel. So one, identify who you're targeting, as you mentioned Bruce. Then where you're going to reach them, where can you reach them, right? Then, how are you going to reach them, and then what are you going to offer them? Once you have that then you need to dig in and identify the opportunity in different channels. So the first example would be let's say if you're using AdWords, so this is like a paid search type of a platform, so you need to identify different keywords based on what people may be searching for. So once you identify that, like what are different keywords? At SCUBE we like to identify different stages of the buyer's journey, so you can have a decision stage where they already know what they're looking for. So for example, you know, if they're let's say in your particular area, let's say someone is already looking for let's say, you know, a screen printing services or a screen printing company in the Chicago, right? That would be the decision stage. Someone is already, they already know how to, pretty much like they already know what they're looking for. Right? So those types of keywords would be in the decision stage. Then we have consideration stage which is kind of like above the decision stage where people are evaluating different options. And then there's the awareness stage which is pretty much like they have no idea what they're looking for. They kind of know the problem but your goal is to kind of catch them before they even, you know, get to this further stages and identify, pretty much educate them and nurture them until they get to that stage where they're ready to make a decision. So once you identify those keywords and map them to the different buyer stages the next step is to identify the total opportunity. And the way to do that is you gather keyword data, search volume, essentially, for different keywords that you may be targeting. So you identify which geographies you'll be targeting and then understand what type of search volume you have for those keywords. So then you know like, I have let's say like my list of keywords has a hundred thousand searches per month. Now based on, let's say my estimated click-through rate and the amount that I'm willing to bid and Google has a simulator, so it can say, "All right, well for this keyword, let's say, or for this group of keywords I can bid X." Right? So in that particular case, you can actually estimate your click-through rate so then you'll know that let's say you get from your 100,000 searches per month for your target audience you'll get 1,000 clicks per month to your store. Now, the average, let's say cost per click is $5, well, you'll be spending $5,000 a month on that particular audience, right? Now, the next step, of course, is what do you do with those clicks? Of course, you know, you want to make sure that you understand the numbers well. Right? So in order to understand the numbers well you have to know a couple of things. So you have to know your conversion rate, so the conversion rate is essentially the rate that your clicks or your traffic turn into leads. Remember, when we talked about the previous step which is making sure that we track everything, so let's say we identify that our click-through rate or our conversion rate is 5% so then we know that we will, you know, out of those 1,000 clicks we will generate 50 new customers. And then depending on the average order of value, I'm not sure like what is the average order value for some of these contracts? Bruce: Yes. So it can really be all over the board, right? You can have a small order that could be a couple of hundred dollars. You can have a massive order that could be $20,000, $30,000 easily. So it depends on the ring. Tom: Okay. So anyway, let's say, let's take, you know, the low end, right? So let's say if it's a couple of hundred dollars, so let's say if you get 1,000 clicks times 5% conversion rate which is like 50 new customers so you multiply that by $200, so essentially, you'll be able to generate, like with a $5,000 investment you'll be able to let's say generate $10,000 in revenue. So that's gonna like what you're gonna get. So making sure that you track everything and then you can actually generate the measure and understand like what you're getting out of your investment. Bruce: Got it. Okay, so to review really quick, we've talked about nailing the conversation and figuring out that funnel essentially. Now, this is gonna be difficult, I could see easily for people, but I think between CallRail for phone numbers, between tracking it on the contact form with Google Analytics, you know, which you might have to hire someone with a little bit of HTML knowledge for. That point is really, I think for us, too, it's difficult but very important to put effort into that so that folks know where to and not to spend money. And then you're saying signing up for an AdWords or Facebook ads account, or LinkedIn ads account, or any of these, maybe even Pinterest ads, whatever. And then being able to target, you're saying the audience to the audience that we said, "These were the exact people we want," and then essentially finding out the math behind it, right, which how long do you think they should run it before they could accurately look at the data and say, "Okay, we spent X amount of dollars, we got this amount of sales back," is it a month, is it two months? Tom: I would say that we shouldn't be looking at the time period just for the sake of looking at the time period. We have to look at the data. So it really depends on how much data you can generate. So the way I would look at into let's say, you know, what would be let's say, you know, virtually like a month or two months, let's say if you can generate 1,000 clicks and then based on those 1,000 clicks how many customers can you generate. I think that would be a little bit more useful metric because every company will have a different budget. And a month is not the same...let's say a month for a company that's spending $1,000 versus a company that's spending ,000 a month will be very significantly different, right, just because they generate a completely different amount of data, because 1,000, let's say a month...let's say if you generate let's say a 100 clicks months, it's not enough data. Let's say, you may be able to get a couple of sales but really will this really help you to determine with statistically significant confidence if this was a good investment? Probably not. So I would say, let's see, if you get let's say 1,000 clicks to your site, think that would be like the minimum amount that you can actually, you know, spend or that would be the minimum amount of traffic that you can actually see or well, how many of them did I actually convert? Tom: And then based on that you know, continue to reevaluate the numbers. Bruce: Okay, got it. So it's really how much data you collected trying to get to call, you said 1,000, you know, actions, clicks, before making a good decision on it if it's worth it or not. Bruce: So what about, you know, how often should you tailor the ads and play with different creatives and things, like should this be a daily or weekly or is that all the data, too. Like say I launched a campaign, it doesn't really seem that I'm getting many clicks. Maybe it's the audience I'm targeting. Maybe it's the creative I'm using. What do you try for next? Do you try to switch the ads around and play around with that? Tom: So the way we like to look at things is essentially, I like to break everything down into three major components. So one is the targeting, then the ads and then the landing page, because they all have to go together. So if it really depends on what type of [audio skips 00:30:47] you're getting. So first example would be, let's say if you're getting a lot of impressions but you're not getting enough clicks, right? So then you need to optimize for a click-through rate and making sure that you're targeting is set appropriately so, you know, so you're targeting the right people and you have the right exposure to that targeting, so what that means is that you can be targeting the right audience but let's say if you're not bidding enough your position can be very low and only a very small portion of your audience can actually see your ads. So naturally, your click-through rate will be very low, all right? Also, another example would be let's say if you're impressions are low, maybe your keyword strategy is incorrect or even like it could be in like the Facebook audience strategy, maybe you narrow down too deep or, you know, where you're reaching a very, very small target audience but at the same time, you know, that you don't have enough people that you could actually get a good reaction because ideally, you have to look into this. You have to look into the impressions, and then the clicks. So, the click-through rates really varies by industry but let's say if you have let's say 1% or 2% you may be okay. In some industries, and depending like on your targeting, of other aspects, you can have like a 5%, sometimes even like, you know, 10%, sometimes even like a higher depending on like what you're targeting and how well your ads are set up, how well your targeting is. So it really depends on the problem that you're trying to solve. So, like going back to the traffic. So targeting can be a big thing, so if you're not getting enough clicks or if you're not getting enough impressions that's kind of like one thing. The other aspect is let's say if you're not getting enough clicks then you can look into your ads and then you can see and compare how your ads react to your targeting. So for example, maybe your ads are not very relevant and specifically, let's say maybe you are, if you're targeting one specific keyword, for example, let's say...let's just pick a, you know, screen printing services, Chicago for example. If your ad is not tailored well to the audience, to the intent of the person who is searching for that keyword, you may have a low click-through rate. So what you may need to do is you may need to evaluate your ad and say, "All right, well, let me test a different version just to see if my click-through rate will be better," because it closer matches to the intent of the search term. Now, once you get clicks to your site, the next thing is what happens after the click, right? And that's usually your landing page. So you want to make sure that you know your exact conversion rate of let's say, your campaigns and then, you know, you can even drill all the way down to your keywords. And based on that you have to see how well the landing page corresponds to your targeting and your ads because you're targeting pretty much helps you to get in front of the right people. Your ads give them a certain promise to what they're searching for, right? And then the landing page has to deliver, so you have to make sure that you have a full continuity from your targeting in ads, you have to have a clear and compelling call to action. Ideally, if you have a clearly visible phone number or a clearly visible form that your prospects could complete right there on that landing page, that would increase the chances of the, you know, the people completing the form or calling you. Also, we briefly touched on social proof. If the prospect is shopping, if they're actively shopping, they may be looking at couple other sites. So making sure that you have enough social proof so they value spending their time on calling you or completing a form, social proof can help you significantly with that, because if you have to make a decision let's say you want to talk, let's say you checked out five different print shops, you saw two with good reviews, then you may want to talk to them first as opposed to talking to all of them just because like why bother if these other shops had no reviews or they have a lot of poor reviews? Bruce: Got you. Okay. Now, retargeting, this is another one that I recommend for shops to dabble with, especially as I feel like people need to see a brand a couple of times. What is retargeting and how can an SMB, small, medium-size business be starting or start to get involved with it? Tom: So one prerequisite with retargeting is making sure that you do get enough traffic. So the question is do your shops have enough traffic already in order for them to start with retargeting? So that's like making sure that that aspect is, because if you don't have enough traffic then your first goal is to do targeting which is, you know, maybe accessing new audiences through Facebook, AdWords, or other channels, right? Tom: Or if you're getting a lot of organic traffic, great, you know, so let's say making sure that you do get enough traffic in the first place in order for a start to with retargeting. Now, with retargeting, actually, I've written am extensive...actually, I have done webinars, podcasts, and articles about retargeting. We developed our own methodology, it's called "Retargeting Matrix Framework" and later on if you want we can, you know, link up to those resources. But essentially, the way we look into retargeting is you want to segment your audience, segment your visitors based on the parts of the site that they have visited. And there's a very specific reason why we do that. So a person who let's say, if they saw the homepage, for example, and then they bounce after that. They would be a completely different person from the person that saw, let's say, a multiple of your service pages and they would be completely different to the person who saw your...or who went to your contact page but did not complete the form, right, because there are different stages. So with the first stage for example, if you're targeting just folks who just went on your homepage or like maybe they got on your, one of your landing pages and then they bounced, your goal is not necessarily to try to sell them but your goal is to get them to your service pages to promote them to the next phase, right? Tom: So that's one area. The second area, once you get to the, you know, once you know that your prospects have been to certain pages, for example, certain let's say service pages, your goal is for them to, you know, to convince them to get to the contact page because they already know what you're doing. You know, you need to serve that, you know, we're targeting ads as a reminder to get to the contact page. And the same thing with the third type of a segment which will be let's say people on your contact page for example, so one thing is that you want to segment your retargeting audiences. In terms of the different tools, right now there are so many tools available, a while ago it used to be, you know, just a couple of different tools, like it started with the Retargeter and then there was Perfect Audience and then there was a... I forget the name of the third one, AdRoll, that was another one. Now you're retargeting on pretty much all of the major platforms, so you can do AdWords remarketing. So AdWords calls it retargeting as remarketing, it's kind of their term. But essentially, you can do retargeting on a couple of different levels. So one is you can segment your visitors based on the site, parts of the site that they have visited. So this is what I have discussed them, so we can have, you know, we can serve banner ads to those folks and then you need to create a different segmented banner ads and so you speak to the context of the last relationship between you and your prospects, like where did they leave off, so you can actually continue the conversation. Another aspect that you can use at retargeting is if you have a large customer base, you can upload your customer list to let's say AdWords or Facebook and then you can run ads to, pretty much, to your existing customers. Now, one would question like why would you want to do that let's say if you already contact them? Yeah, that you're contact information, you can contact them through email. You could do that but if you look at the average email open rates, so, for example, an e-commerce rate, it's a...in the e-commerce industry it's about like 17%, right? So what does that mean? So that means about 83% of people that you email don't even open up your email, right? So retargeting could help you cover the gap between what you use for your email outreach to your existing customer-base and where they actually see your ads. Bruce: Got you. Got you, okay. So following up, and even just like having them know that you're still there. I mean one of the things is, you know, along with the email marketing is hitting them from different angles and this is just part of the equation. Tom: Yes. And at the same time, you want to make sure that...so there's one actually important thing that everyone has to be aware of is check your frequency. So here's what it means, so I think it's kind of like a big rookie mistake that a lot of the advertisers do. So you want to make sure that you don't annoy your audience, right? And there's a metric both in Facebook and in AdWords and its called frequency. So frequency means how many times did your user see your ads within a given period of time. So if, you know, if your frequency is high, let's say if you have, you know, the frequency of 10, your prospects maybe annoyed to the point where they don't want to hear from you anymore. So you want to make sure like you kind of watch that. Tom: And both, I would say both platforms, AdWords and Facebook, they have...you can actually set caps on your frequency, but you need to make sure that you kind of monitor that. So you can actually set for example with an AdWords, you can go in and they can set your frequency to let's say no more than five impressions per one week. So that means you're pretty much...an average person and your retargeting audience will not see your ad more than five times in one week. So, in that case, they cannot see here and there but at the same time, they're not overwhelmed with your ads. Bruce: What is the number that you should be looking to not exceed? Tom: I would say it's testing like you got to test. Like in some... Actually it's interesting like it can be two to three, right? But at the same time with some audiences that we have tested for our clients, we exceeded like even five and people still bought. So it depends on like what you have to offer and what your relationship is with your audience, and then based on that you can kind of adjust. But I would say look at the data. I would say like one big takeaway like from our whole conversation about PPC is that make sure that you actually look at the data first and then make decisions based on that. Because sometimes like I would say like there's no one rule for everything but at the same time like once you analyze the data and once you let's say compare your frequency with your conversion rate like your reach, then you can kind of determine, "All right, well, we tested our frequency at three and it worked out but let's see what if we push the envelope to five," right? Actually, we didn't increase our order, well, that means, you know what, we'll keep it at five. In some areas, we need to dial it down to let's see three or two. Bruce: Got you. Okay, that's super helpful. Well, Tom, this has been really great. This is a lot of interesting advice that I think is all over the internet but it's hard to pick one kind of source and say, "Okay, I'm gonna follow this," and at least just get started with it. So I really appreciate the time. If there's one takeaway here or something to try or one thing to do, what would it be? Tom: Good question. There are a few. I would say this, I'll give a couple of takeaways. So one thing is that always make decisions based on data, that's one thing because that's what's gonna happen with the pretty much all big platforms. You do get access to lots of data and make sure the data leads you all the way to success. That's one thing. The other thing is that be patient and test and break things down into smaller components. So as I've mentioned before, let's say don't throw in the towel and say like, "Well, AdWords is not working," or let's say, "Facebook is not working." Break it down into components. For example, if something is not working, understand if your targeting is done correctly, right? Eliminate all of the potential issues with your targeting. Then go to your ads. Do your ads align well with your targeting? And then finally, your landing pages. Can you eliminate any issues and fix those issues with your landing pages? So I think that break everything down into little pieces and problem solves each piece, that will help you significantly, Because usually, the sum of all of these components improved together will lead you to success. It's like there's no magic bullets I would say in marketing, it's pretty much you have to execute and you have to keep testing, you have to keep improving all the time because things are moving fast and you have to adapt. Bruce: Well, perfect Tom, I appreciate the time. This has been super helpful and informative and I'm sure a lot of our listeners out there will take some notes and really make action out of it. So thank you, again. I really appreciate the time. Tom: Yes, happy to help and it's been a pleasure being part of your podcast. Bruce: I appreciate it, Tom. This is Tom Bukevicius from SCUBE Marketing. Thanks.